This paper describes the development and application of FIA-ICP-MS technique for the speciation of trace elements in extracts of Cyclocarya Paliurus (Batal.) Iljinsk (CP) leaves, an herbal tea used widely in China as dietary supplement for Elements Related to Blood Sugar (ERBS), which are reported to have the beneficial effects of lowering blood sugar. Most ERBSs are found to be water-soluble. On the basis of elemental distribution, the aqueous solutions of CP of different origins can be separated into two groups: one is rich in organo-magnesium, organo-manganese, organo-zinc, inorganic copper, and inorganic nickel; while the other is rich in inorganic magnesium, inorganic manganese, inorganic copper, inorganic nickel and organo-zinc. 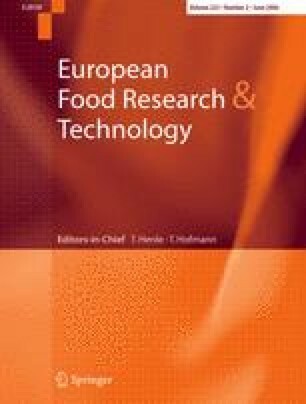 The ERBSs in two bioactive extracts of CP named EE and POLY were analyzed and compared, and the results suggest that the extracts are good dietary supplement for people, especially Diabetes Mellitus (DM) patients through the provision of ERBSs of Mn, Zn, Mg, Cu, and Ni in organic or inorganic forms.